Home Culture The Girl Who Galloped To Her Exam Hall! The Girl Who Galloped To Her Exam Hall! let's rise above the petty and challenge our abilities! The stories of a prince riding a horse, coming to elope with the princess still enthralls a significant number of people. Any story with a horse riding sequence will have a special place for the ones who love drama. We still remember how Imran Khan aka Jai Singh Rathore from Jaane Tu Ya Jaane Na won the heart of his beloved, Genelia D’Souza aka Aditi, in the last scene, don’t we? So, we all know what a huge place a horse riding scene has in Bollywood. We have seen how in the time of an emergency, Rancho from 3 Idiots, took his friend’s ailing father to the hospital by tying the old man with himself in a scooter. So, there is actually no stone which humans would leave unturned, when in dire straits. However, little do we get to see such sequences in real life. They say that movies are a representation of real life and this girl from Kerala proved us right, though her story comes with a twist. A girl hailing from Thrissur in Kerala recently made news by riding a horse to reach her examination center. The girl is in the tenth standard and she is the new knight in shining armor, isn’t she? The video has already gone viral and the netizens, quite obviously, cannot keep calm. This girl has made the nation proud by putting her education above everything else. The video of the girl riding the horse was first posted by a Twitter user with the username @manoj_naandi, and the video boasts of 7800 likes and more than 2500 retweets. 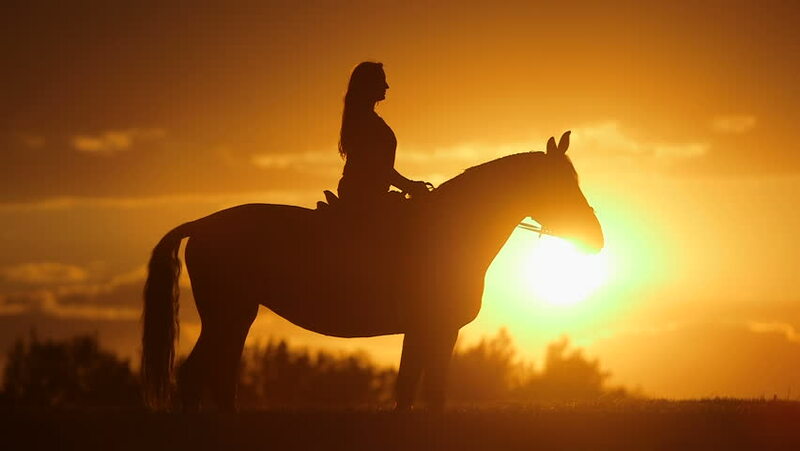 She has really set the standards for other girls pretty high because this horse riding shining knight deserves a medal for her immense devotion. The video is fast gaining popularity all across social media as the girl gallops off in a white horse wearing her school uniform, without a care in the world. All she cared was for her class ten examinations, which is the first most important exam a person takes in our country. Even business tycoon Anand Mahindra has been all praises for her awesome deed and has wanted her picture for his screensaver! It is not every day that the world gets a glimpse of a girl riding a horse and it becomes even more interesting when it is a teenaged girl riding to her examination center. Having said all that, we wonder if this girl, in the future, has a place in one of the movies of Rohit Shetty for we are sure that he will need such talented people with such great innate skills. This girl will definitely go a long way in whatever she does and we wish her all the luck. Will It Be A Green Diwali In Mumbai This Year?